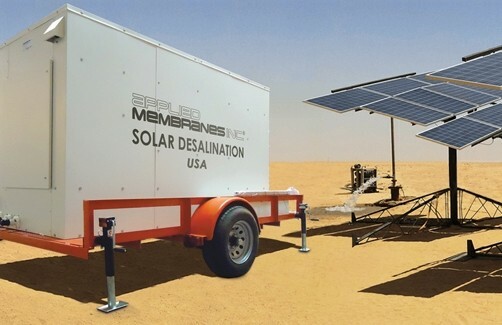 Solar Powered Mobile Water Treatment Systems Deployed to Stop Cholera Outbreak | Applied Membranes Inc. In 2010 after the Iraq war, 600,000 people lost access to safe drinking water and electric power. The people were left with two choices: disease ridden river water or brackish well water. 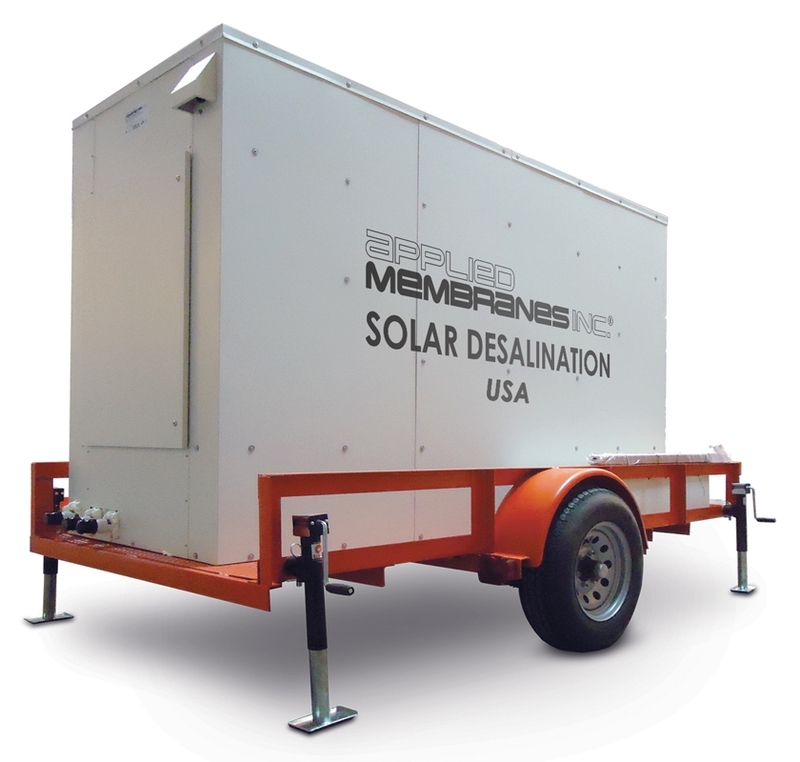 Applied Membranes was approached to design two systems: An ultrafiltration system with UV for the river water, and a reverse osmosis system for the well water. 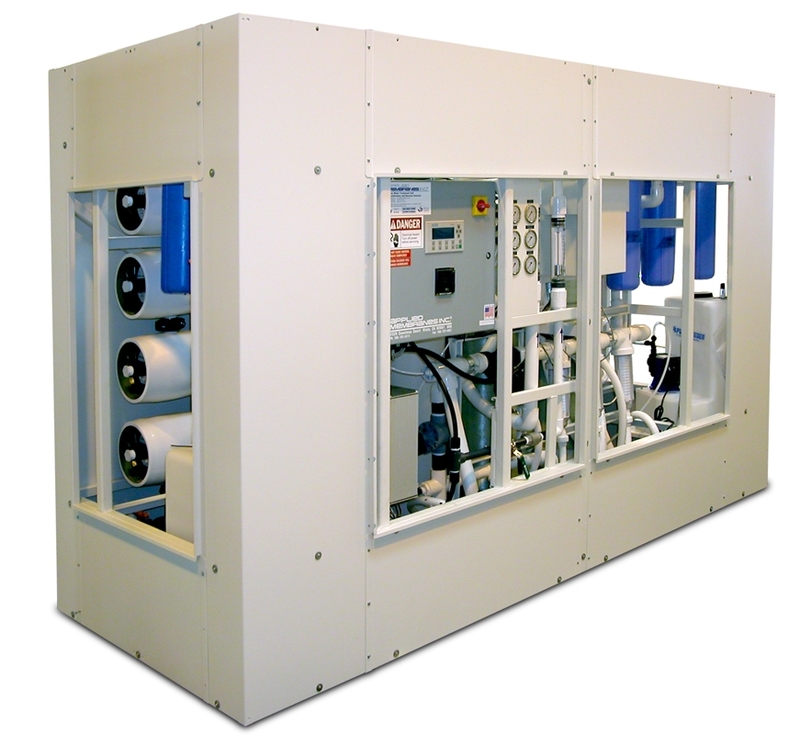 The systems were required to treat flow rates of up to 5 m3/hr. 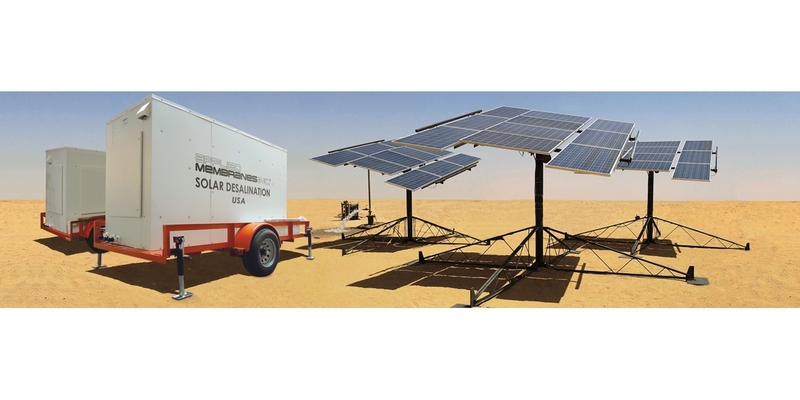 Both systems were to be totally Solar Powered and trailer mounted so they could be set up in remote villages without electricity. A total of 400 systems complete with controls and mounted on trailers must be delivered in 4 months! It seemed an impossible task but AMI rose to the task and met the deadline. All 400 systems made it to villages across Iraq and started producing clean drinking water almost immediately. The systems were literally life savers as they prevented the Cholera and other diseases that were spreading due to the consumption of contaminated water. 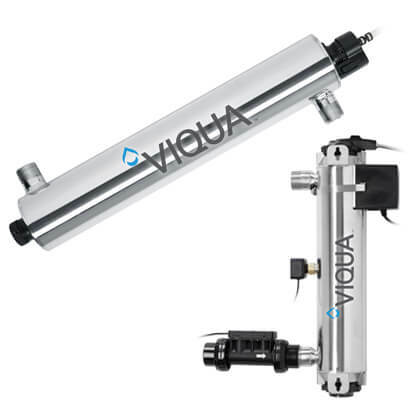 The river water systems, pulling directly from the river, consist of a prefilter stage, two stages of ultrafiltration, and ultraviolet disinfection. The well water systems use Reverse Osmosis membranes to treat the high salinity brackish water. All of the systems are mounted on reinforced mobile trailers and are capable of being pulled by standard motor vehicles. The mobility of the systems allows them to be easily deployed in rural communities or large urban environments within a matter of hours. We are happy to report the systems are continuing to supply safe drinking water.